Better accessibility to drive screws and drill holes in tight spaces. Easy & fast connect to the standard hex screwdriver. 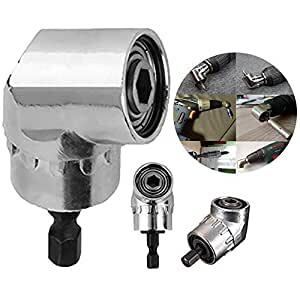 360 degree adjustable, apply to all electric drill and socket wrench, which allows to extend to where drill can’t reach to. Built-in strong magnet for good holding power, accepts all 1/4″ standard hexagon shank bits.